Large metal mirror basins – each with a different curvature. The outside of the bowls are untreated and presents the marks left behind from the handcrafted spinning production. The insides are mirror polished. Looking in a concave, double curvature mirror surface the reflection of you is reduced to a fragment of a much larger abstract image of your surroundings. It is a reformed way of experiencing the space around you and yourself in the space. 3 installations of print on sheet aluminium. The mirror is based on the Nordic and Scandinavian aesthetic with a focus on materials: glass, leather and brass. - The brass screw and bolt that join and secure the two other elements. Every detail has a function and the konstruction is clear - you understand each part and what role it plays. The raw edges of the leather and the frameless mirror makes the expression raw and industial, while the use of brass, quality of leather and glass reflects the classic Danish design tradition. The mirror is based on Scandinavian simplicity with a focus on materials: oak, glass, leather and brass. The raw edges of the mirror and leather makes the expression raw and industial, while the use of brass, quality of leather and glass reflects the classic Danish design tradition. The mirror makes reference to the classic barber mirror. The small tray shelf adds a function to the mirror and the mirror adds a dimension to the items you display on the shelf. Designed in collaboration with Anita Johansen. The trays are meant to function as a frame and foundation for the exhibitions we create in our homes – a way of organizing one's things. From the different oils or condiments in the kitchen to perfumes and jewelery in the boudoir or tools and pencils in the office. 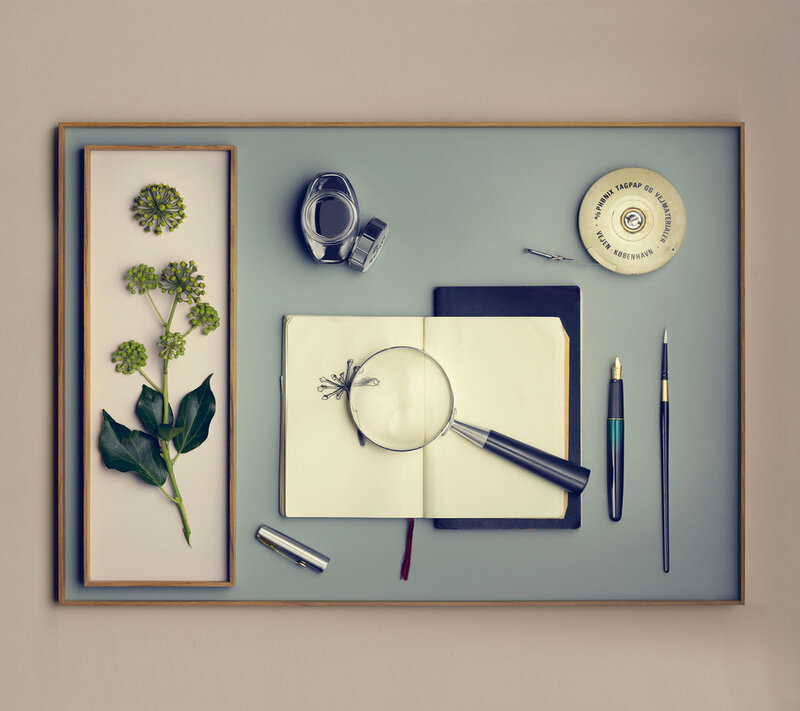 The Frame trays are produced by MUNK collective.